Microsoft introduces Xbox One controller for PC will be sold in October. Microsoft wants to focus on the cloud, the connected objects and mobile devices. However, the group does not neglect the gaming sector. There are some days the repurchase of Mojang, the publisher of video game Minecraft was announced for more than $ 2 billion. The group does not stop there. It comes, in fact, introduce new devices, including two for video games on PC. First, mouse "Wireless Mobile Mouse 3500" Limited Edition Halo. Wireless, it can be used by both left and right handed and allows high precision. Microsoft introduced a new Xbox controller One that you can play on PC. The pack, called "One Xbox Controller + Cable for Windows" is composed of a Xbox controller One and a USB cable for 2.75 meters. 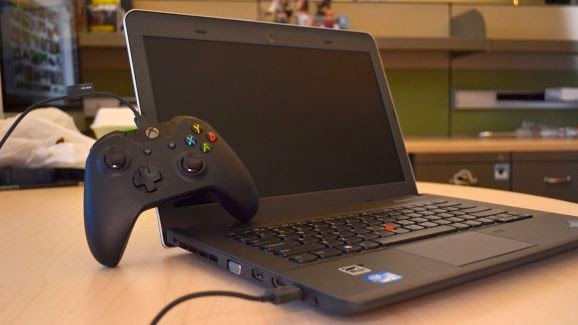 The controller is identical to the model for console and is used under Windows 7, Windows 8 and Windows 8.1. It allows you to play many PC games as well as on the Xbox console One. The pack will be sold from 20 October and costs 59.90 dollars. As for the wireless mouse, it will be launched on October 6 and costs 29.90 dollars. Since June, Microsoft provides drivers to use XBox One on a PC. Great advantage of this new pack, it is useless to look for a long microUSB cable.